21mm diameter x 6mm thick 2.8mm size hole. 10.3mm inner ring. 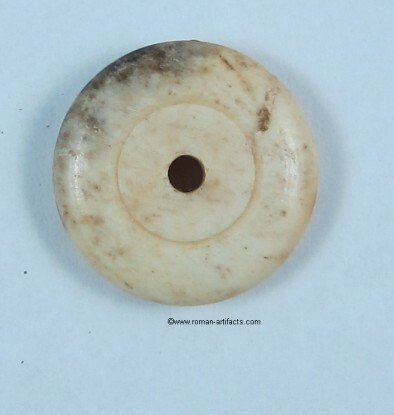 This bone spindle whorl and spindle were found together with the pyxis and the knife and was likely buried together at some time. 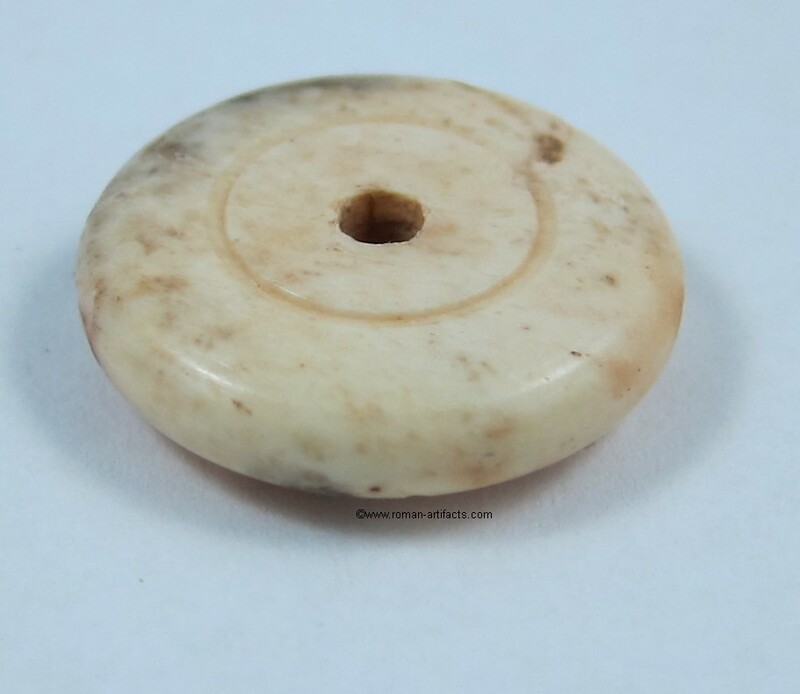 A spindle whorl and spindle are known to have existed going back to the Neolithic age and was used during the process of making thread from wool, hemp, yarn etc. 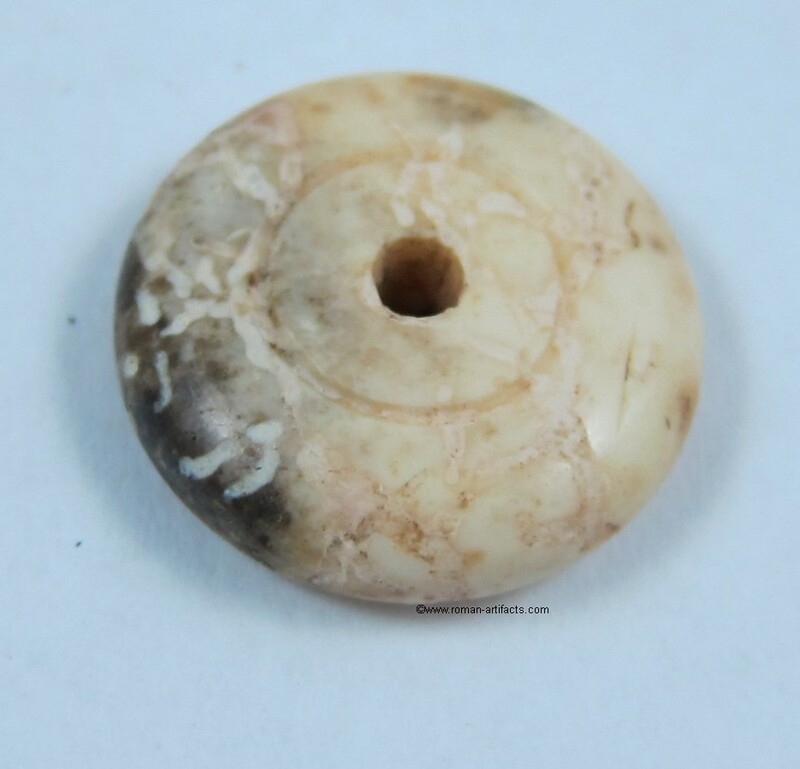 The spindle would spin around with a weight (spindle whorl) which would then create the thread during the process. On this example the organic spindle whorl and the spindle are in excellent shape considering their age. The spindle whorl was clearly carved on a lathe and has a hole drilled out of the center to allow the post to stay in place. 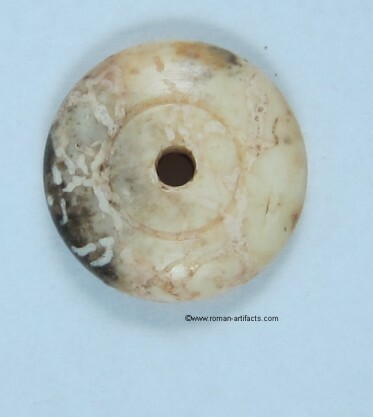 There is a concentric circle carved in to provide some decoration. The spindle has an expanded section which stops the spindle whorl from falling off during the thread making process. This example also has a barbed end to it which was likely used somehow assisting in the process of making the thread. No other examples with a barbed end have been found. This is a rare complete example/set in an organic material that has survived for nearly 2000 years.